Superb opportunity for brand new dream home in an established community where schools rate A+. 68,536 sq ft lot. Approved perc for 4 bedrooms, 4.5 baths with 5434 livable sq. ft. 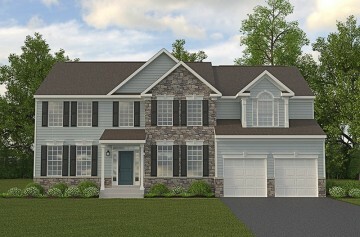 Build our award-winning Hawthorne plan (pictured) or choose from our portfolio of innovative home designs. Many standard features included in price and numerous options to floor plan are available for your complete customization. Beautiful White Oak II model with 4 bedrooms, 3.5 baths, formal living and dining rooms, gourmet kitchen, family room and many customization options to make this your dream home.